Jade Sea Journeys takes you into worlds for you to discover, bringing you face to face with the indigenous people exposing you to unsurpassed knowledge of their culture and traditions through local guides. 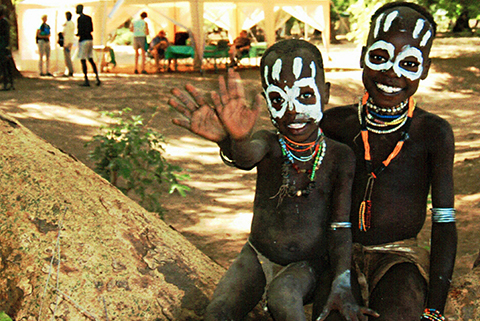 Jade Sea Journeys is a unique Kenyan tour firm founded on adventure safari within Kenya and Tanzania. Jade Sea Journeys is also the Lake Turkana specialist safari tour operator with decades of experience of trips on Lake Turkana with its UNESCO heritage islands; its rich archaeological sites, ‘The Cradle of Mankind’ and Turkana environs. 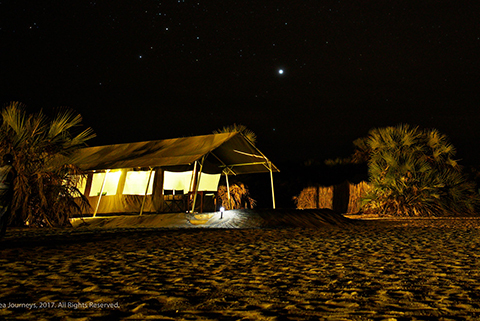 The nascent pearl of Lake Turkana is Lobolo Camp which lies nestled within a palm and wooded forest fresh water oasis midway along the western shore of the Lake Turkana.